For 2018, the Toyota Sequoia gains Toyota's Safety Sense-P that adds automatic emergency braking, lane-departure alert with sway warning, adaptive cruise control and auto dimming high/low beams. A blind-spot monitor and rear cross-traffic alert are also standard. Stepping into the new TRD Sport trim adds a Gloss-Black grille with chrome accents, 20-inch TRD Sport Black Alloy wheels, and a color-keyed rear spoiler with LED center mounted stop light. The 2018 Toyota Sequoia model line consists of SR5, TRD Sport, Limited and Platinum models. All models get a 381-horsepower, 5.7L i-Force V8 rated at 13 mpg city and 18 mpg highway in 2-wheel-drive form. Four-wheel-drive Sequoias are rated at 13 mpg in the city and 17 mpg on the highway. The optional 4-wheel-drive system includes a 2-speed transfer case with a true low range good for serious off-roading and other heavy-duty tasks, while a Torsen limited-slip differential helps distribute power in a predictable, steady manner. Switching between the system's modes only involves turning a simple dash-mounted knob. 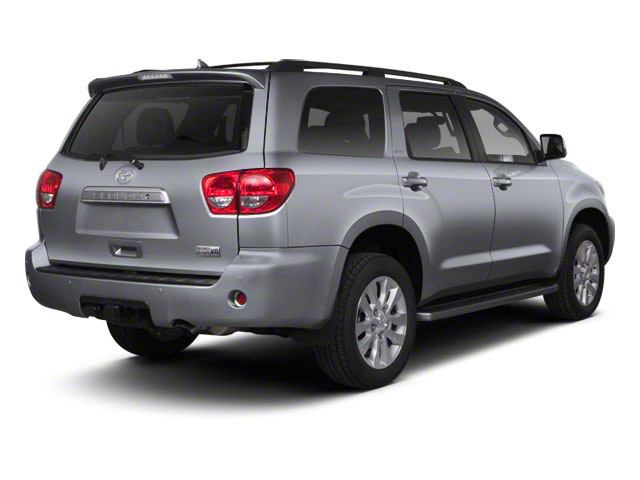 Thanks to a 4-wheel independent suspension and tubular anti-roll bars, the Sequoia rides and handles quite well. 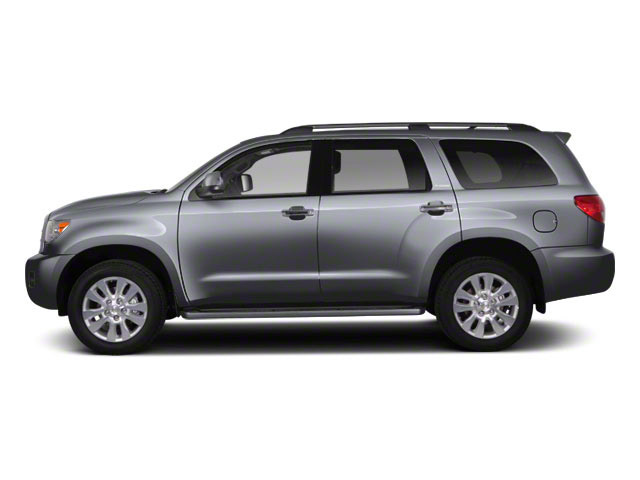 An air suspension on the Platinum Sequoia further improves comfort and towing. The Platinum also includes 20-inch wheels. Stopping power is good, even when the Sequoia is fully loaded, thanks to big 4-piston anti-lock disc brakes with brake assist. Electronic stability control helps maintain safety for abrupt maneuvers or on slippery surfaces. Proof that the Sequoia was built to handle demanding towing tasks, the SUV's tow hitch is integrated into the frame. This allows tow ratings to range as high as 10,000 pounds, and the transmission includes a tow/haul mode to utilize engine braking. Eight-passenger seating is standard on the Sequoia in the form of three rows and an option for second-row captain's chairs setup is available. The second-row slides fore and aft to optimize comfort between rows and aid access, and in models with the bench seat, it's split 40/20/40 for the best combination of people and cargo. The third row is split 60/40 and can recline or fold flat. Behind the third row there's a rear power window and a power tailgate is available. Additional safety features on the Sequoia include roll-sensing side-curtain airbags, front-seat side bags and now knee bags for front occupants. One of the best things about the Sequoia is that although it wears a Toyota badge, it has an interior well-equipped enough to feel like a Lexus. The extensive standard-equipment list includes a 3-zone climate control system, keyless entry, cruise control and Entune Audio Plus, which features an 8-speaker CD sound system, Bluetooth, satellite radio and MP3 compatibility. The Limited trim adds parking sensors, fog lamps, heated leather power-adjustable seats, a roof rack, a JBL sound system and other upgrades. At the top of the range, the Platinum adds 20-inch diamond cut-finish alloys, the load-leveling air suspension, memory seats, second-row heated seats, a sunroof and a Lexus navigation system with rear camera. Adaptive cruise control and a rear-seat Blu-ray entertainment system are also now included. 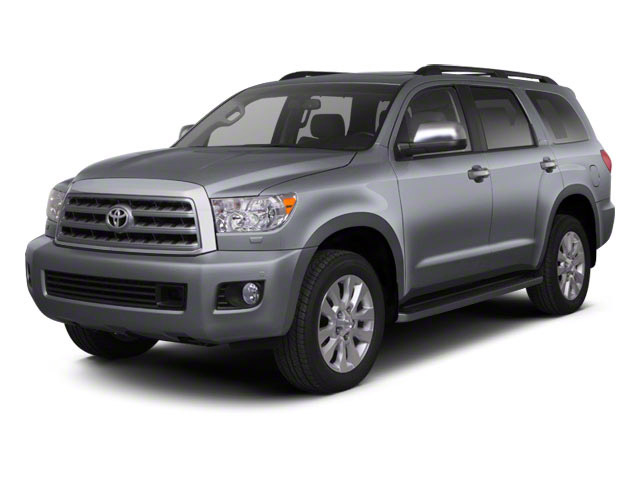 The Toyota Sequoia appeals to those who are in need of a serious hauler, whether trailering or carrying people. The Sequoia delivers just as much capability with nearly as much style and luxury features as many high-end luxury-brand SUVs. 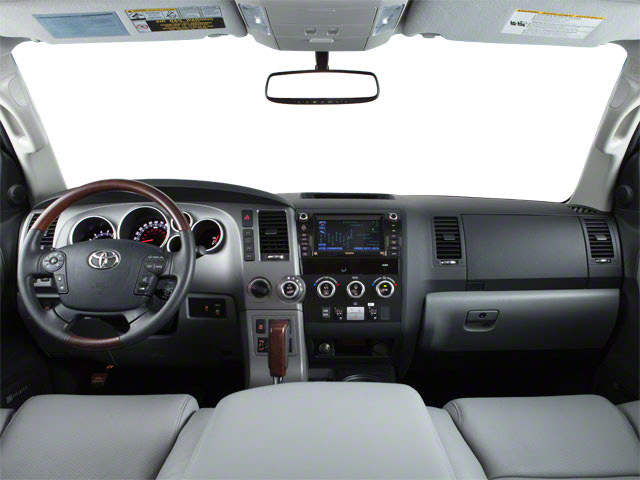 The Sequoia's interior is spacious and comfortable and surprisingly flexible for people and cargo. Base SR5 models are an especially strong value, starting at a little over $45,000, while fully loaded Platinum model's sticker for less than $63,000.